Hippocrates , the ancient Greek founder of medicine, along with his contemporaries, were cutting the bark off of willow trees to create a tincture that lowered fever, and alleviated pain. The active ingredient in these tinctures is called acetylsalicylic acid, more commonly called aspirin. Chemists eventually discovered how to make aspirin in a lab and it became one of the best selling pharmaceuticals by the end of the 19th century. Minor aches and pains, along with fever were treatable with mild medications for the first time. By the mid 1950’s and 60’s acetaminophen (Tylenol) and ibuprofen (Motrin and Advil) came on to the market. These drugs were more effective and less toxic than aspirin and the sales of aspirin began to decline. During this time, scientists were discovering the biochemical mechanism of how aspirin worked. This research made it clear that aspirin prevented blood clots- just as heart disease, which is cause by clots forming in blood vessels, was becoming rampant in post-war United States. Aspirin sales recovered and are now booming, not for the relief of pain and fever, but for the prevention of heart attack and stroke. New research mentioned in the previous post seems to demonstrate that aspirin also prevents colon cancer. As a naturalist, I believe that most humans are healthy in their natural state and that the choices we make can lead to good or poor health, except in some rare instances. Using aspirin to prevent disease is tricky for a naturalist like me. It is preventative, but it is also a step taken after a health problem that could have been prevented has already occurred. Aspirin is not harmless- it caused many deaths during the flu pandemic in the early 20th century from overdose. Aspirin use is a leading cause of gastrointestinal and other forms of internal bleeding because it prevents clot formation. It can be toxic in fairly small doses and it has a wide array of effects. We just discovered that it can reduce the likelihood of colon cancer but there could be negative effects we still have yet to find. But for people who already have risk factors for heart disease or stroke, or colon cancer, aspirin is certainly more natural than the alternatives. A chemical derived from willow bark appeals to my naturalist sensibilities more than removal of ¾ of a colon or sewing leg veins into the heart. While I understand the need for the treatments to prevent and treat disease in people who have put themselves at risk, far too much emphasis has been put into these interventions and not enough on prevention. Modern medicine all too often approaches health as something that can be administered, when it is clear that health must be a discipline that we all practice, protect and cherish. I believe that nothing demonstrates this conflict more starkly than the inevitable rise of bariatric surgery. Check back soon for new research supporting this controversial set of procedures and why it makes me a bit uncomfortable. 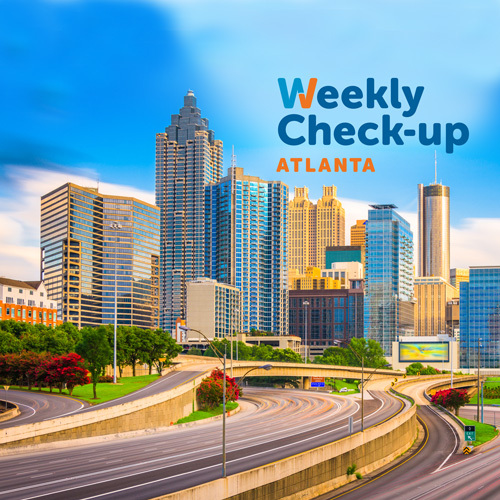 https://weeklycheckup.com/wp-content/uploads/2017/11/atlanta_500x500-1.jpg 500 500 johnlenz https://weeklycheckup.com/wp-content/uploads/2018/01/wcu-logo.png johnlenz2012-05-09 21:45:262017-11-27 18:39:24An Aspirin A Day?